gt&i offers a highly skilled team of in-house strategists and creatives. They have delivered award winning - including a coveted D&AD Yellow Pencil - campaigns for the likes of Ballantine's, UBS, Malibu, Royal Mail, Barratt Homes, The Ritz London, The Dorchester Collection, The Glenlivet, Etihad and Lloyd's of London and are now building a new portfolio with gt&i. We also recognise that engagement spans an increasingly broad number of channels. So we have built relationships with leaders in their respective fields of content creation including aerial photography, illustration, moving image, film production, CGI and animation. A highly versatile Creative Director with fourteen years’ international through-the-line experience, Glen’s passion is to create beautiful work. With a background in typography, design and art direction he has worked across all major industry sectors, winning a number of awards, including a D&AD Yellow Pencil. His portfolio incorporates work for a host of luxury brands in the property, retail, travel and hotel sectors. Glen is equally adept at developing highly targeted bespoke brand campaigns for independent clients as he is overseeing the delivery of global integrated communications campaigns. Glen has previously worked in both independent UK shops and global blue chip agency groups, most recently as Creative Director at Publicis London. His burgeoning reputation is built on his fierce appetite for work, incredible attention to detail and award winning creative campaigns on behalf of brands such as Pernod Ricard, UBS, Davidoff, Berkeley Homes, Etihad and The Ritz - amongst many others. A creative strategist with twenty years’ experience in PR, marketing and business development. Tim brings a unique blend of energy and insight to the development of business propositions that create clear differentiation in cluttered markets - and in defining the offer for disruptive businesses. Launching the UK’s first CSR agency in 1994 with clients including Shell, Mazda, Greenergy Fuels and The Carbon Neutral Company; Tim cemented his reputation for developing effective stakeholder campaigns and identifying new market trends. He went on to co-found markcomms agency Four Communications managing campaigns across lifestyle, travel and business sectors. His client portfolio included Etihad, Country Life, Club Med, Shaftesbury Estate, Sony Computer Entertainment Europe and TNT Post. After working in online publishing in London and New York, Jonny co-founded Traffic Digital, an agency specialising in high quality websites and apps across e-commerce, government and the media. Based in Soho, his clients included adidas, British Airways, Cash Converters and the U.K. Government. With more than 20 years in the industry, Jonny brings an exceptional eye for detail and extensive experience of web production, development and hosting whilst delivering a marriage of development skills across the full web technology stack with significant managerial experience. a flourishing expertise in photography, assisting leading photographers in Shanghai and Rankin in London. This gives her a unique insight into the creation and selection of imagery in creative campaigns. Ninja has a strong sense of luxury design, detail and high end photography, experience in Editorial Design and Branding. She is also fluent in German, Polish and English. 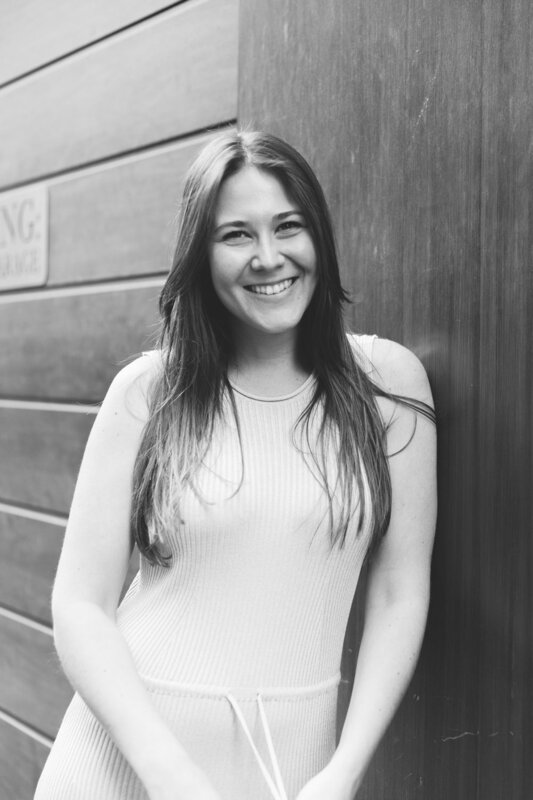 Tierney joined the team at gt&i with impeccable credentials and fresh energy gained as front-of-house and event organiser for A list destination Soho Farmhouse and as team leader for luxury glamping group Camp Kerala and for Cru Events. With both a graphic design degree and an MSC in Branding and Advertising Tierney offers a marriage of business insight, visual comprehension and a stunning eye for detail that proves invaluable to clients. Tierney works across client projects for London Square, Aerial Film & Photography, Chrono Hunter and Cap Vermell Group, amongst others. A graduate of Seville’s acclaimed Da Vinci School of Graphic Design, Nerea joins our multilingual - and increasingly international team - with her eye for beautiful and sophisticated design, art direction and a deep love for typography. Her career has seen her working with El Golpe in Spain before moving to the UK based first in Bristol and then with the Business of Fashion in London before being attracted to the diversity of the gt&i client portfolio. 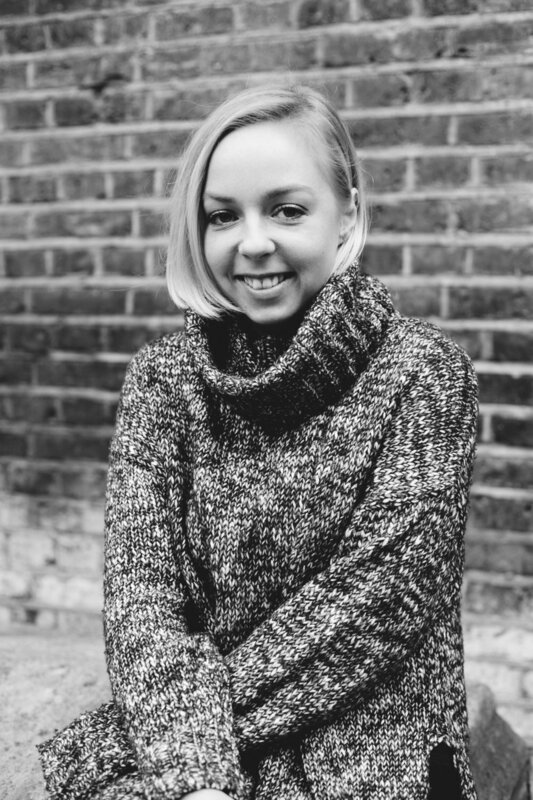 With a background in fashion, buying and latterly communications, Sophie has a keen eye for market trends and a strong understanding of campaign/project management. Sophie joined gt&i having co-ordinated marketing at the Chartered Society of Designers looking after campaigns, social media and business development. Prior to that she worked for an events agency on project management and as a buyer for House of Fraser. She is also a certified Yoga teacher and a keen traveller! A multi-talented Graphic Designer with more than 30 years industry experience with a focus on branding and above the line advertising. With a passion for typography, photo retouching and illustration his career has seen him working both global advertising agencies including Publicis, BBH and Havas and award winning boutique Design Agency Stand. With a wealth of skills and knowledge, Kenny’s work has been recognised on blue chip accounts including EE, Proctor and Gamble, Chivas Regal, Renault, Barratt Homes, Emirates, Royal Mail, Virgin and many more. When Kenny is not working on award winning campaigns, he enjoys playing golf around the world. Daniella brings more than fifteen years’ experience, and a level of financial expertise and rigour not often found in a new agency, to gt&i. She started her career at Coutts Bank managing both corporate and UHNI private accounts before taking a big step into the advertising sector. Here she found her passion working for both leading global agencies and creative hot-shops. Her career kicked off with Proximity/Omnicom [clients including Eurostar / Sainsbury’s] before joining MEC Worldwide/WPP [Visa / Marriott] as Finance Supervisor and, en route to joining gt&I, being ‘birthed’ at boutique ABTL agency Mother London [Stella Artois / Match.com]. In Daniella we have a finance resource that can grow with our business ambitions.